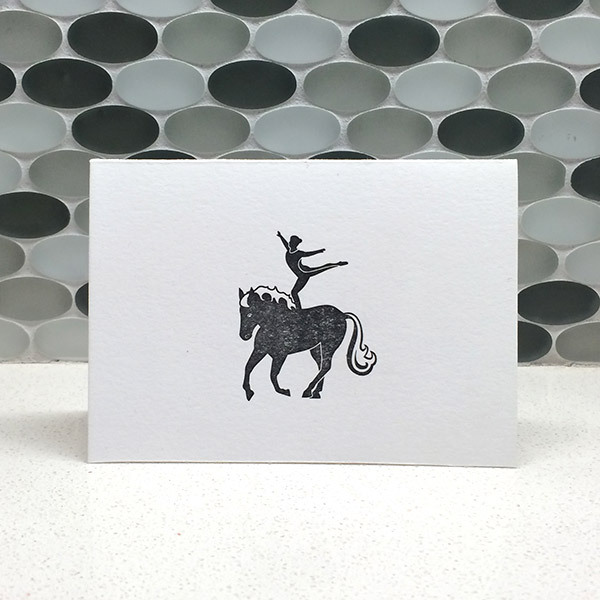 Uniquely designed vaulting note card for all occasions. A great gift for the vaulting obsessed. This 3.5″x5″ card is printed on thick, 100% cotton stock and comes with a matching cotton envelope. Blank inside.